To educate those who will contribute to the advancement of technical knowledge and who will be leaders in their profession. To conduct basic and applied research in engineering, computer science, and related interdisciplinary areas. To provide service to the engineering and computer science professions, to the College, to the nation, and to the community at large. To be a recognized leader for quality education and research in selected areas in information technology, computer science and Engineering. Promoting innovative research and education programs in the core computer science as well as multidisciplinary application areas. Committed to provide accessible and responsive programs of education and research recognized nationally for their high quality. As a community of scholars, we will lead by example and with vision, inspiration, integrity, and a shared sense of purpose. 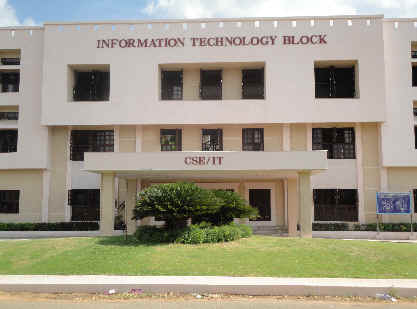 Located in the IT/ CSE block with the built-up area of 4493 Sq.m. Guided by a team of 19 well-qualified, experienced and dedicated faculty members. 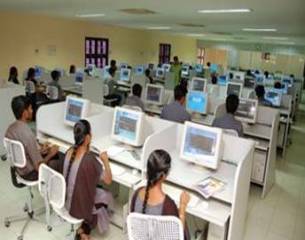 Started with an intake of 18 regular students and 2 part-time students, with the aim to develop core competence in Computer Science and prepare the students to carry out development work, as well as take up challenges in research. All computers are attached to the centralized server through structured cabling using ECAT5 cables and TYCO fiber module software manageable switches. Uninterrupted Power Supply (UPS) with sufficient power back up. Sl . No Name Of The Student Participated College Name of the Conference Page No.